Concerned that climate change could lead to an intensification of the global hydrological cycle, Caribbean stakeholders are working to ensure it is included in the region’s plans for Integrated Water Resources Management (IWRM). The basis of IWRM is that the many different uses of finite water resources are interdependent. High irrigation demands and polluted drainage flows from agriculture mean less freshwater for drinking or industrial use. 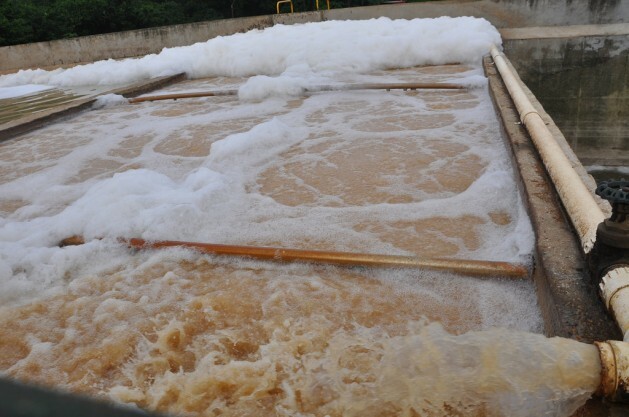 Contaminated municipal and industrial wastewater pollutes rivers and threatens ecosystems. If water has to be left in a river to protect fisheries and ecosystems, less can be diverted to grow crops. Meanwhile, around the world, variability in climate conditions, coupled with new socioeconomic and environmental developments, have already started having major impacts. The Global Water Partnership-Caribbean (GWP-C), which recently brought international and regional stakeholders together for a conference in Trinidad, is aimed at better understanding the climate system and the hydrological cycle and how they are changing; boosting awareness of the impacts of climate change on society, as well as the risk and uncertainty in the context of water and climate change and especially variability; and examining adaptation options in relation to water and climate change. “Basically we’re looking to integrate aspects of climate change and climate variability and adaptation into the Caribbean water sector,” Natalie Boodram, programme manager of the Water, Climate and Development Programme (WACDEP), told IPS. “And this is a very big deal for us because under predicted climate change scenarios we’re looking at things like drier dry seasons, more intense hurricanes, when we do get rain we are going to get more intense rain events, flooding. “All of that presents a substantial challenge for managing our water resources. So under the GWP-C WACDEP, we’re doing a number of things to help the region adapt to this,” she added. Current variability and long-term climate change impacts are most severe in a large part of the developing world, and particularly affect the poorest. Through its workshops, GWP-C provides an opportunity for partners and stakeholders to assess the stage of the IWRM process that various countries have reached and work together to operationalise IWRM in their respective countries. Integrated Water Resources Management is a process which promotes the coordinated development and management of water, land and related resources in order to maximise economic and social welfare in an equitable manner without compromising the sustainability of vital ecosystems. IWRM helps to protect the world’s environment, foster economic growth and sustainable agricultural development, promote democratic participation in governance, and improve human health. GWP-C regional co-ordinator, Wayne Joseph, said the regional body is committed to institutionalising and operationalising IWRM in the region. “Our major programme is the WACDEP Programme, Water and Climate Development Programme, and presently we are doing work in four Caribbean Countries – Jamaica, Antigua, Guyana and St. Lucia,” he told IPS. The Caribbean Youth Environment Network (CYEN) is a non-profit, civil society body that focuses its resources on empowering Caribbean young people and their communities to develop programmes and actions to address socioeconomic and environmental issues. Rianna Gonzales, the national coordinator of the Trinidad and Tobago Chapter, has welcomed the initiative of the GWP-C as being very timely and helpful, adding that the region’s youth have a very important role to play in the process. “I think it’s definitely beneficial for young people to be part of such a strategic group of people in terms of getting access to resources and experts…so that we will be better able to communicate on water related issues,” she told IPS. The CYEN programme aims at addressing issues such as poverty alleviation and youth employment, health and HIV/AIDS, climatic change and global warming, impact of natural disasters/hazards, improvement in potable water, conservation and waste management and other natural resource management issues. The GWP-C said the Caribbean region has been exposed to IWRM and it is its goal to work together with its partners and stakeholders at all levels to implement IWRM in the Caribbean. “A very significant activity for the Organisation of Eastern Caribbean States has been to prepare a Water Sector Model Policy and Model Water Act which proposes to remedy the key water resources management issues through new institutional arrangements and mechanisms that include water and waste water master planning, private sector and community partnership and investment mechanisms,” GWP-C chair Judy Daniel told IPS. IWRM has not been fully integrated in the policy, legal and planning frameworks in the Caribbean although several territories have developed/drafted IWRM Policies, Roadmaps and Action plans. Some of these countries include: Antigua and Barbuda; Barbados; Dominica; Grenada; Guyana, Jamaica; The Bahamas; Trinidad and Tobago; and St. Vincent and the Grenadines. By caribbeanclimate in News on August 26, 2014 .